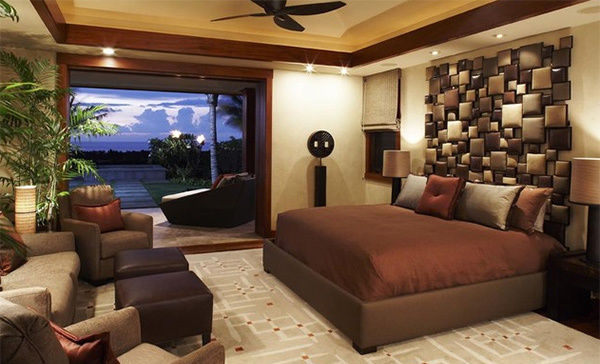 As we all know, bedrooms have different moods and ambiance depending on what the homeowner wants to achieve. Aside from the decoration in the bedroom, the headboard can be a good focal point and could also add personal touch to your bedroom especially that these can be customized. That is why we will be showcasing different headboard designs using upholstery. When we speak of upholstery, it refers to adding padding to furniture. This can be done by experts but can also be done by anyone. Upholstery is not a totally hard thing especially that materials are already available in DIY stores and instructions are readily available online. With that, anyone can do upholstery especially for their own headboards. You will be seeing a collection of upholstered headboard designs that were especially customized for each room. Scroll down and feast your eyes to a bunch of creativity. Simple yet captivating. 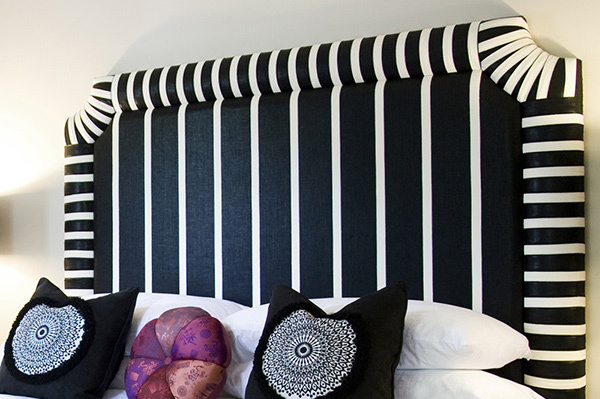 These are words that can perfectly define this headboard in black and white. A small headboard like this can also work well. A minimal touch can still make a huge difference. 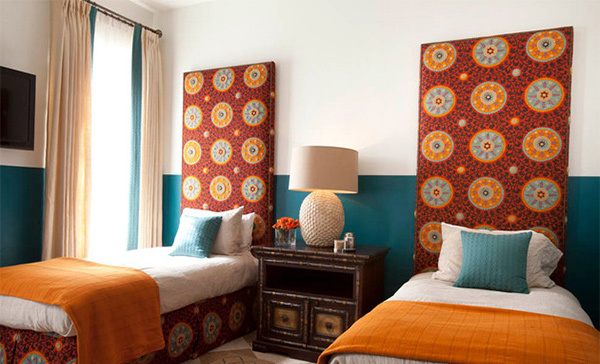 You can make use of printed fabric and come up with a headboard of squares as lovely as this. 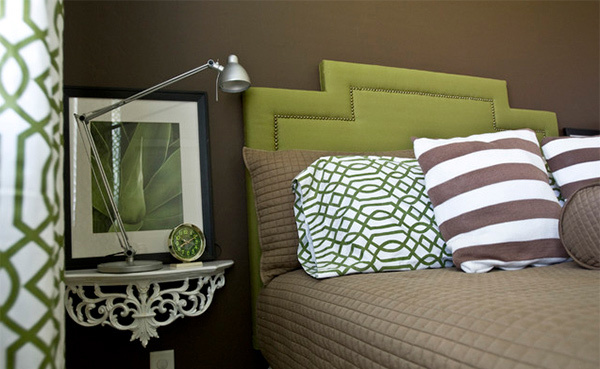 This green headboard has a unique geometric touch with some thumb sized circular touches to create a shape. 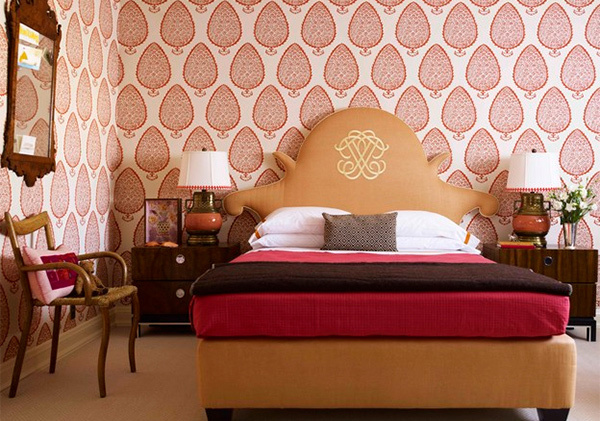 A white headboard would be good especially if you will be using different prints for your fabric. A twin’s bed can look totally alike with a headboard of the same fabric. 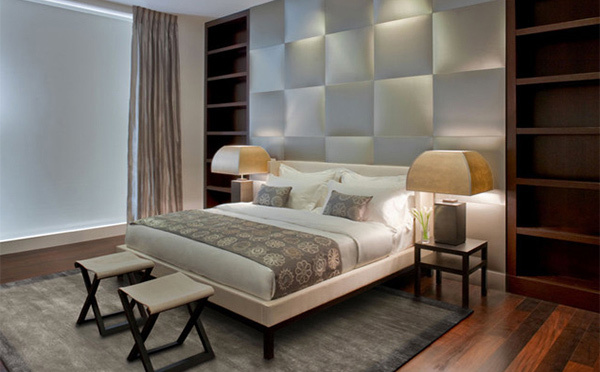 Add a contemporary touch to your bedroom with square headboards arranged in a creative manner. 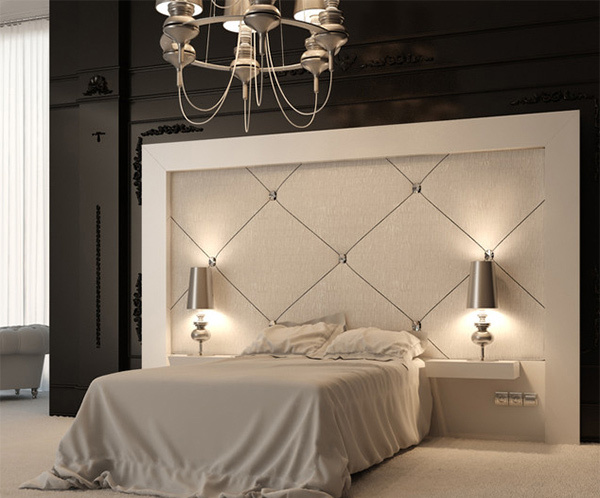 This headboard sure is creative and elegant too! Black and white is always a hit for interior furniture and colors. 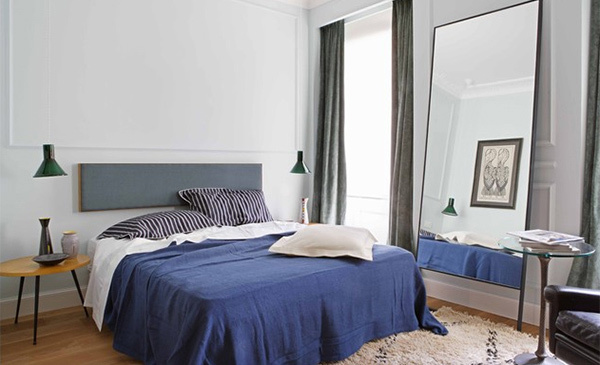 This room is renovated colonial adding a European flair into it which includes the headboard. 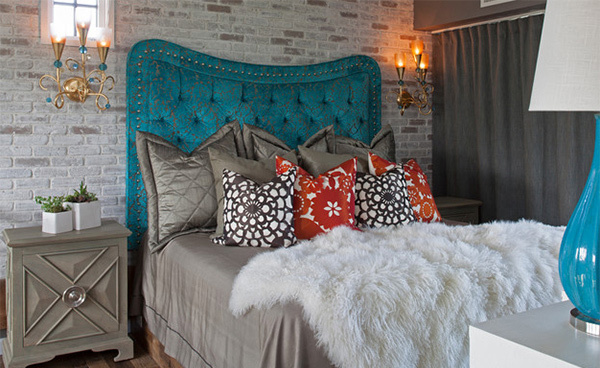 Vinyl was used for the upholstery of the headboard and added accent lights under it. You have two choices- one for a girl’s bedroom and another for a boy’s bedroom. These fans are funky and brightly colored. 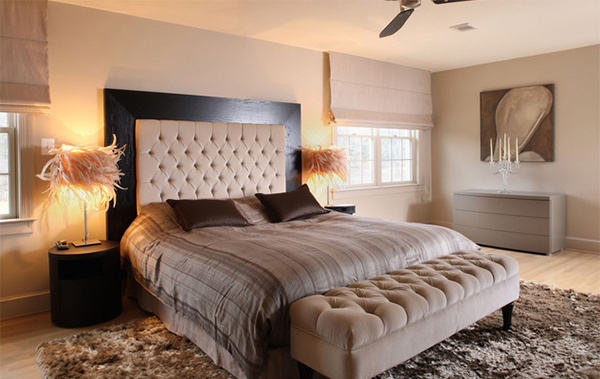 An elegant modern bedroom in beige- a bedroom that is everyone’s dream. 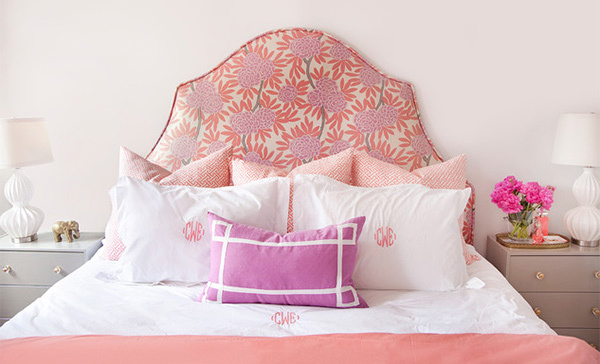 This headboard is a sure beauty. Its intricate details and golden touches make it appear sophisticated. 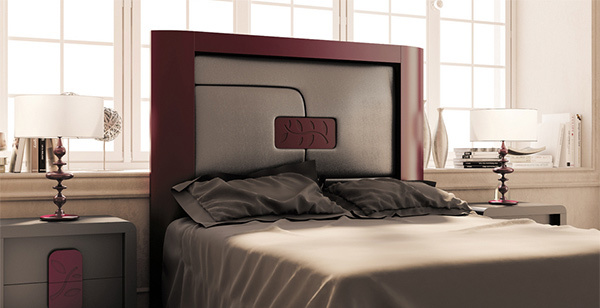 A headboard for a modern bedroom with a design like no other! 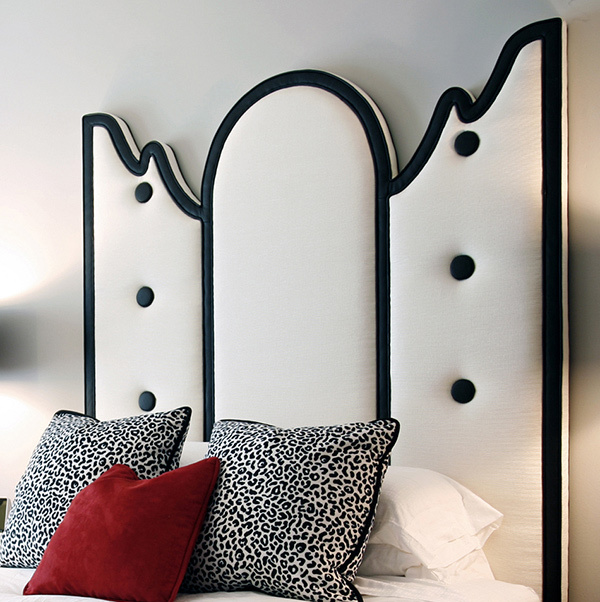 If you want a headboard that is really unique, this one will no doubt qualify. Lovely. That would be one word that you can use to describe the upholstered headboards above. Aside from that these are also unique and could give your bedroom a distinct personal statement because you can get a customized design for your own headboard. 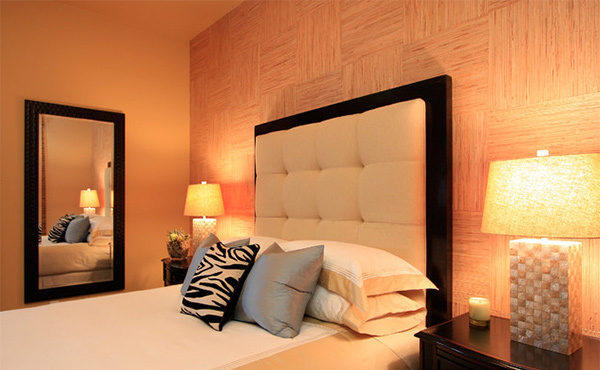 Headboards can do an amazing job in adding beauty to your bedroom. 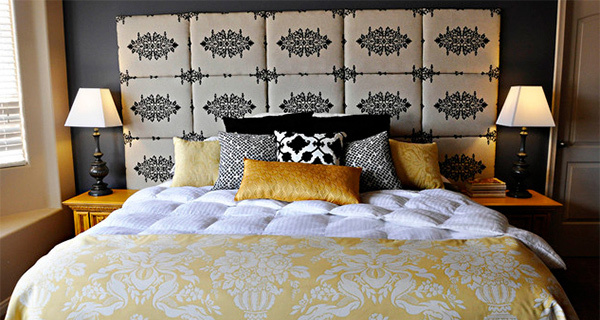 You can also check on some DIY headboard designs if you want to express your own creative touch to your bedroom. Hi Kareen Liez, ok it’s not your design , but your collection of design and information about design, it’s helpful for me. I see. It’s nice that you have an interest in home design.Thank you also for checking our posts here. Kareen Liez ‘ thanks very much for appreciate me.